Aleksandr is a leading economic analyst in Russia. He has been an investor and trader on both the Russian stock market and forex market for over 10 years. Aleksandr is a broadcaster on such TV channels as RBC TV and Vesti 24. Moreover, he is a financial adviser on trading strategies and risk management. He is the author of the book 10 fatal errors of traders. In 2012, Aleksandr Kalashnikov taught students of the Economics faculty at Lomonosov Moscow State University the Fundamentals of exchange trade. 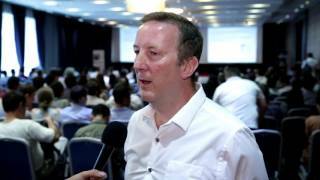 In addition, he is a top-rated expert and analyst at TeleTrade Group. Aleksandr graduated from Volgograd State Pedagogical University with degree in Russian Language Teaching in 2003. He also graduated from Volgograd State Technical University with degree in the Economics. He has been working at TeleTrade Group since 2003. 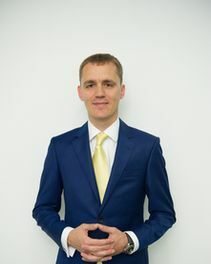 After the crisis of 2008, Aleksandr has been dealing with such obscure topics as Psychology of trading and Capital management. He has developed his own trading strategy on the basis of tough Money Management and Psychology. Long-term experience on financial markets and a vast storage of knowledge and skills enable him to achieve instant results from his trainees whatever their trading background is. Aleksandr Kalashnikov created his independent project `The art of survival on Forex` devoted to trading psychology and capital management.